Using a netbook this has been very helpful, swell as every other year I have used the netbook for my learning. It has helped me in a lot of subjects such as writing, reading, maths but for me, it has helped improve in my writing a lot. The netbooks have been one of the many reasons that I love to come to school. This year personally, it has been a success in terms of looking after my netbook. My netbook hasn't been damaged all year and I am proud of that achievment. Because if it did get damaged then my parents would have had to pay for it, and they didn't have to pay anything all year long. Another thing that I am very proud of is that I have improved in my maths and my mark that I got this year was very good. I believe that part of me getting a high grade is using the netbook. I have used Maths Whizz, IXL, Xtra Math and many more math sites. I was very proud of my marks. Using a netbook this year was very helpful and it was a very good learning object for us students. Pt. 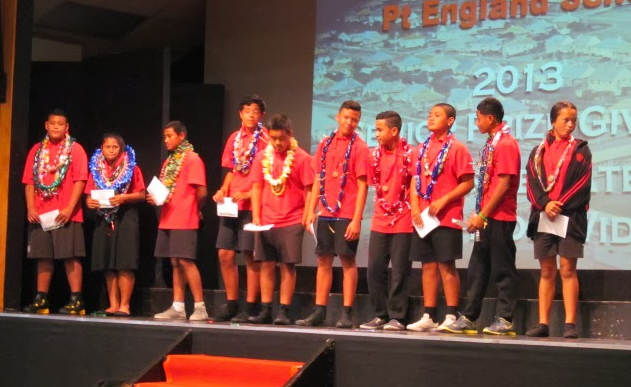 England Senior Prize Giving 2013! Yesterday on Thursday the 12th on December, Pt. 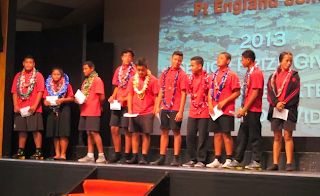 England School had their senior prize giving. I was so excited to see what I was going to get for my last prize giving at Pt. England. I was more nervous for our year group performance, because my friend Dillion and I were playing the guitar, and I feel that we had a lot of pressure in our hands on the night. I knew that it was going to be a long night because there were three awards and performances from different age groups before us, and as older boys our legs were going to be sore from folding them for too long. But I knew that it was all going to be worth it, because I knew I was going to get a award. It was time for the year 7 awards, and I was getting more nervous as the time went by. "Are you excited bro, I am" my friend Starford said to me. From years of experience at prize, I knew the order of what comes first and what goes last, and by what I saw and heard, it was almost time for the year 8 prizes. It was finally time for our prize awards. It was so exciting and. I didn't really care of what prize I got, I was just happy that I got an award, and to be honest , I knew that I was going to get a sports award. The sports awards went by, and I didn't here my name. "Crusader" Mr. Burt said. I rushed to the stage to get my award. I was so proud of myself. All the awards were done and it was time to do our item. It was so cool and we did great. 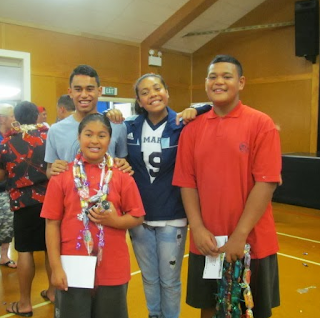 This year's prize giving was awesome and I am going to miss having it here at Pt. England. On Tuesday the 3rd of December, the year 8’s from Pt. 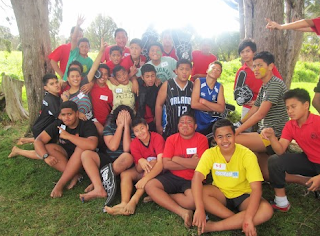 England School went on their camp to Keswick (Pronounced Kesick) down out Rotorua. Obviously it was a long trip to get there, but I knew that it was going to be worth it because I was with my friends and the activities were going to be awesome. As soon as we got there, we had to go on a nature walk up this hill. It was the most tiring thing of my life, but I knew that it was going to be good pre-season training and get some fitness in my body. I was running with my friend Kingston P, all the way up, and all the way down. I had a lot of fun doing that run. 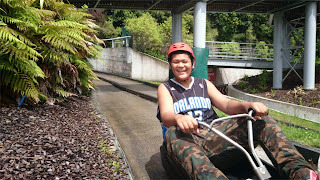 My second most favourite part of the whole camp, was going to the Rotorua Aquatic Centre. When we got there, the lifeguard said that there was a 2 metre pool that we could go and bomb in, but me and my friends didn’t go there first. At first, me and my friend Samuela went to the shallow pool. Just to get warmed up. After a while, I told my friend that we should go check out how cool the deep pool was. I did one bomb and after that I was sucked in. My favourite part of the whole camp was going to the Skyline and Luge rides. That was fun for me because I believe that I was fast and that I could beat everyone. I got 4 rides. In the first ride, I got in my luge and raced to catch up to the other people in front of me. 1 by 1 I caught up to every single one that went before me. My favourite part of the whole trip was the last luge ride we had. There were 4 of us on the last ride and we had enough luge rides to block up the whole lane. We were having so much fun, and it was a fun trip. The camp was very fun and I am going to miss all the year 8’s. 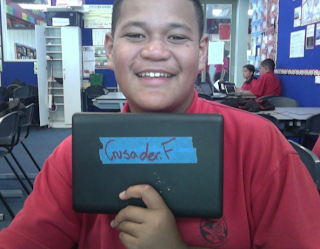 Crusader's Year 8 Memories from Team 5 PES on Vimeo. Lately in the creative strand group, all the year 8's had to make a movie that was about their life here at Pt. England. This is my awesome movie showing me back then and showing me now. I hope you enjoy. On Friday, it was the last swimming session for the year and before we were off to our year 8 camp. We practised a lot of things through out the other swimming lessons but it was all for today's lesson. 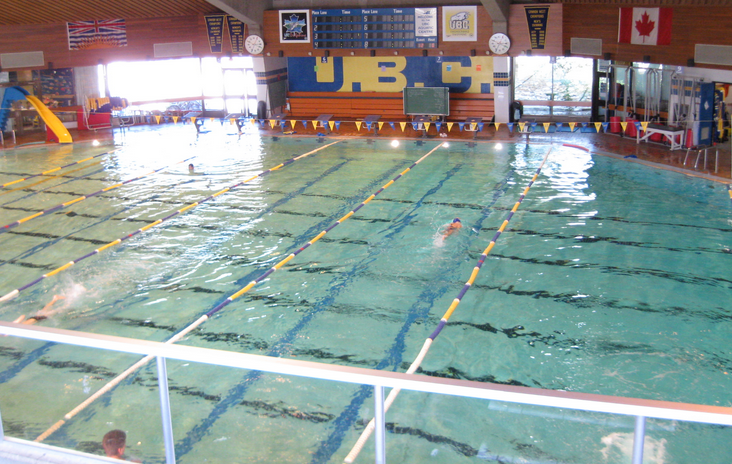 We had to swim 6 lengths without putting our feet on the ground. Mr. Barks said that we could use any technique we wanted to as long as we completed the task.
. I did this for every length I had to do and I completed it. I was so proud of myself because I can be safe in the water. You should try it some time to keep YOU safe in the water. S.E.R (Self Explaining Roads) Research! What differences have you noticed around G.I streets? In our extension class, we got the task of interviewing kids our age and kids younger about what they think of the SER streets. Self Explaining Roads. We created a survey online and we asked children those questions. We were doing to help our a lady from the University of Auckland. We had a class discussion including our teacher talking about SER streets. We also included little kids. 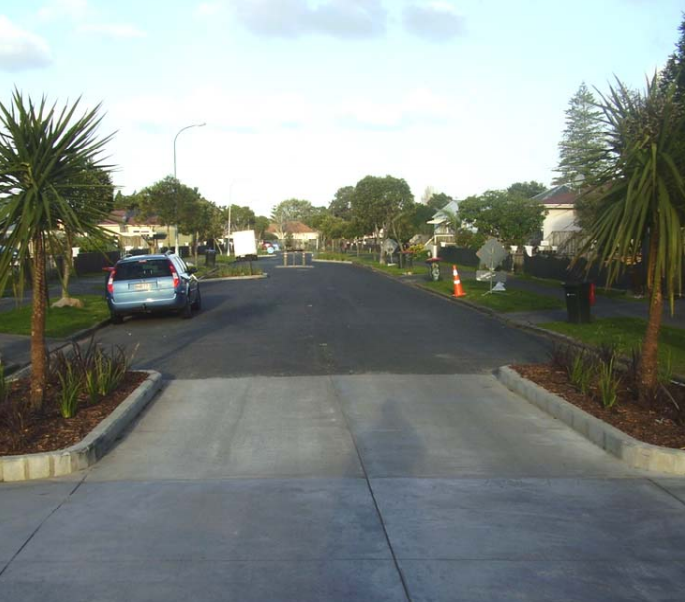 We asked them questions like do you use streets or roads with islands, does your family have trouble driving out of your driveway, and lots more. Prediction: I reckon that it will be easy for me to explain it to them because the questions were easy. Observations: Interviewing the year 4’s was hard because they couldn’t understand the question and I think that they had trouble answering it as well. I also had to rephrase the question. It was also hard to explain to them what SER roads/streets were because they didn’t know what it was. We didn’t really do a experiment but we did a survey that asked people questions about SER roads/streets. We looked at our summary of responses and it told us the percentage of the answers that people gave us in the survey. 53% of the people I interviewed like streets with no islands, and 48% of the people liked streets with islands. The council should really think about what they are REALLY putting on the road, because it can be for a good cause, but at the same time, a bad cause aswell. 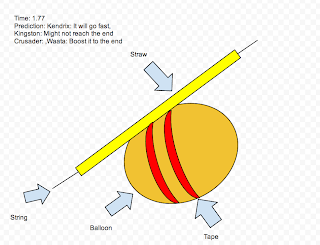 In term 2, the yea 7/8 extension group got the task of experimenting how fast a balloon would go if it was attached to a straw. 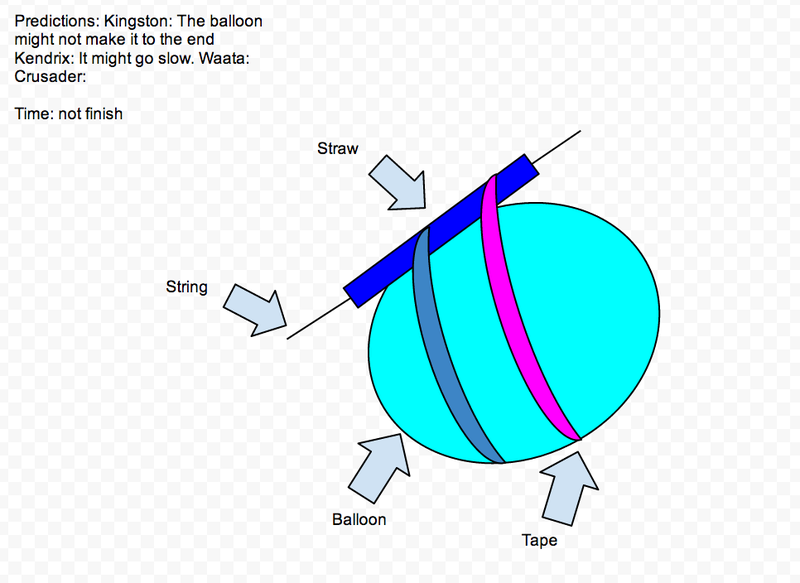 After that we put a string through the straw, blow up the balloon and let all the air out. The balloon and the straw would fly through the string. These are all our Predictions and findings. This is one of my latest podcast. Hope you enjoy. James and Crusader Podcast Spartacus from Team 5 PES on Vimeo. My friends are cool, intelligent, and are really into rugby. We always have our ups and downs but we always find a way to forgive each other and be friends again. We all love to play sports and we are all boys. The mains are Kingston L, KIngston P, James, Waata, Samuela, Starford, Kendrix, and Raenan. The reason is because they have been my friends ever since we were year 1. We always have each others backs, and we have an unbreakable bond. My friends and I are not only friends, but we treat each other like our own brothers. This is also because we were always in the same class and that made us get closer and closer to eachother. 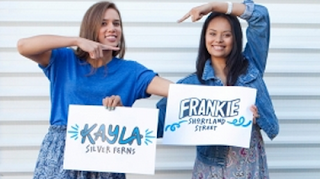 We are all BFF. Like I said before, we all have an unbreakable bond, and it will be really sad to leave each other at the end of the year. “Run run” I said as our house colour was running for gold in our school relay. 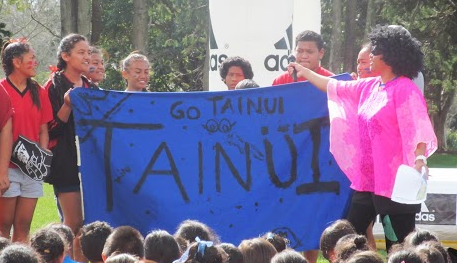 On Friday the 8th of november, our school had our athletics day. We had all the sports you could name, Javelin, triple jump, high jump, sprints, everything. It was the perfect day for athletics. 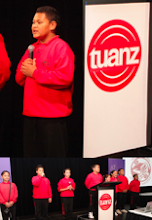 We have four houses, Te Arawa, Mataatua, Takitimu, and my house, the one and only TAINUI! The school was split up into groups. The groups were year 7 girls, year 7 boys, year 8 girls, year 8 boys and so on. From there we would go to different sports and rotate around those sports. My group (Year 8 boys) went to discus first. I was very nervous. As all the boys started to take their turns each, I started to get more scared as it got closer to my turn. “Crusader, you're up” I was scared for my life. I was my first go at something for the day. I put all the nervous thoughts behind me and I spun the discus as hard as I could. Unfortunately, I didn’t get a placing. It was the last activity of the day. SPRINTS! I was happy that it was going to be all over, but I was also happy because this was my favourite sport. One by one, the lines started to cut down. It was my turn to race. ‘BANG’ we were off. I came 4th in my race. The last race was the best because it was everyone in our group for one big muck around race. My friend and I had our own personal race. ‘BANG’ We were off for our last race at Pt. England. I wasn’t really fair because I was thrashing him so I waited up for him. It was a rainy day and we both slided at the end. It was the best athletics day ever and I had so much fun. I was immediately astounded by the majestic scenery that I was surrounded by. The rainforest was filled with exotic plants and draping leaves could be seen everywhere. 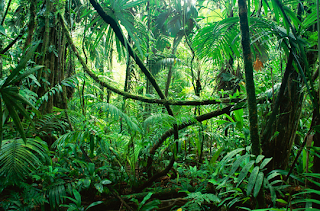 The humidity took over me, but I wasn’t going to let that stop me from exploring more of this amazing rainforest. As I was struggling trying to get past these enormous leaves, I spotted a snake that really terrified me. “What was I going to do?” I asked to myself. I was thinking of what to do, and as I was, the snake started to get closer and closer to me. I couldn’t focus because it was so humid. Just when I was going to give up, I saw a piece of thick branch. I grabbed it and tested it to see if it was strong enough. Fortunately it was. Searching through my backpack, I saw a knife that I packed. I quickly carved the piece of branch into a stick with a sharp end. It was time to test it out. I was scared for my life, until, I saw a guy that looked like he had a good build. “Hey, hey” I yelled. “Come and help me, there’s an anaconda coming to kill me” He quickly ran over. We fought the snake together. I felt a bit of relief as we were fighting. It was so difficult. With my sharp stick, I stabbed the snake once and that was enough to stun the snake. We slowly started break him up one by one. “HAAAAA” My partner stabbed him with all his might, and we got through it. It was a wonderful experience and me and my partner James were best friends forever. 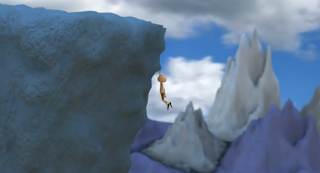 Adventure Quest, is an online game which is very popular with teenage kids around the globe. When you create an account you start off with level 1. There is maximum of xp that you have to reach and when you reach that you can move a level up. The higher your level is, the stronger your character becomes. You can challenge other people online that are the same rank and level as you. I like this game because you can duel other friends and it also gives me a good challenge. What do I Think About Halloween? <---- This is our groups pictionary about halloween. Halloween is nothing more than knocking on random doors and getting a bunch of lollies. I think that halloween is about the Devils birthday and the creation of evil characters.. I don’t celebrate halloween because my parents don’t want me to. It’s time to find out what halloween is really about? After we wrote down what we thought of halloween, our teacher gave us time to research about what halloween was really about. This is what I found out. The origin of dressing up on halloween day also came from people back in the day. On halloween, people would think that bodies from the dead would rise from their graves and start roaming around the earth. So children and adults would dress up in ghosts and witches as a form of camouflage to blend in with the dead. The origin of trick or treat came from catholics. On all souls day (November 2nd) the priest would ask the church to pray for the people that are in the purgatory. That is a place that is in between heaven and hell, and if you pray for them, then that gives them a chance to go to heaven. Back then, people would go to houses and ask for soul cakes, and in return, they would pray for the people in the purgatory. Before halloween they would celebrate a day could Lemuria. On that day, people would pour roman milk on graves to stop them from rising and roaming on the earth. It would also block them from trying to enter the earth. Jack-O-Lanterns were actually not lighted up in pumpkins, they were lighted up in turnips. When Jack died, he got sent to hell. But he was so bad that the devil didn't want him to stay there. So the devil sent him back to earth and with Jack was a flick of fire. Jack used that and put it in a turnip, and he uses it to roam around at night. 911 James Crusader Starford from Team 5 PES on Vimeo. 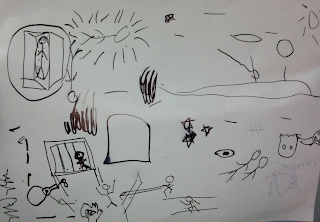 Positive - In the past week, we got the task of creating a D.L.O about an event in history. The event in history that my group and I picked was the Twin Towers (9/11) terrorist attack on the USA. One of the good things in our movie was that we used more animation in this movie than in any of our other movies. Our animation in the background made the news report more interesting to watch. We also got the movie finished in time. We showed lots of different perspectives, from the perspective of Osama to the military and also news reporters. There was also a bit of humour in it. I think that our movie was quite entertaining because our audience liked it. We used some interesting angles and shots in our movie. Minus - Something that was bad about our movie was that we didn’t finish our planning and that really was a struggle because we only had one day to finish it. We also didn’t show how it affected New York and the world and I think we could have conveyed that a whole lot better. The information that we found out could've been shown with more detail in our movie. Our animations also could’ve been more detailed as well. Interesting - Something that was interesting to our audience was the news reporters part. People also found the Osama Bin Laden part interesting as well. We had the same two characters play the part of the terrorists and then the part of the American military. This is our movie. Comment down below what you think of it. “To be honest I don’t want to do the fun run” I said. On Wednesday the year 7 & 8’s of Pt. England School had a fun run. It was to fundraise for our year 8 camp which was coming up near the end of the year. Not a lot of people were excited for it but we all had no choice. It was 5 kilometers long. In the first lap I was running with my friends and I couldn’t be bothered doing the run. We were with my phone and listening to music. Every time we went passed a teacher we paused our songs. In our 2nd lap, we stopped our music but we were too close to one of our teachers and she snapped us and took the phone off us. In our second lap 2 of my friends left us because we were holding them back. It was only me, my friend Ahsin and my other friend Kingston. We were running at a good pace but my other friends kept on stopping and so I left them to go by myself. I started to run further and further away from them. In the 4th lap I was way ahead of my other friends and I was really proud of myself for how far I ran. In the last and final lap, I almost did the whole lap without walking but when I caught up to my friend, I stopped for a while. I was almost finished and so I decided to start running until the end. The fun run was an awesome run and it also got my fitness up. I can’t wait till cross country. “We have cross country today” Kitiona said to me. I was so scared because I don’t like cross country, and I don’t think anyone does. Throughout the week I was sick and I didn’t know about. My mum didn’t want me to do anything active because I had just recovered. So I was safe from the cross country run. I was surprised because I thought that I was going to have to do it. The year 8’s were the last ones to race, so during the little kids races, the house captains and some other helpers including me and other people, were helping to cheer on the little kids and help motivate our runners. “Who rock the party, who rock the party, TAINUI rock the party that rocks the party. When I say TAI you say NUI, TAINUI, TAINUI” That is what we said for our chants. It was almost time for the Year 8 boys race. I was thinking of doing the run because I was going to be OTL (Only the lonely) and I didn’t want to because it was going to be boring. So I decided to do the race. I ran with my friend Ahsin and we didn’t come last, we came 4th to last. Cross country was cool and it was fun as well. i can’t wait to do it next year. 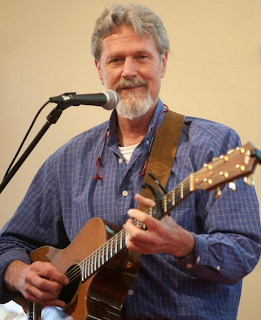 John Farrell is a singer songwriter, author, and peace educator who has released 7 CDs of stories and songs. He has been awarded the Parents Choice Silver Honors Award, and a Dove Foundation Award. John Farrell has been doing presentations to thousands of schools all around the world and has been an inspiration to many people. He has been to countries like Japan, Ukraine, Spain, South Africa and many more countries all over the globe. He has been a key presenter at many conferences. John Farrell has a part of the International Reading Association, the European Council of International Schools, the Tokyo Early Childhood Association and a whole lot more. The songs and stories that he has produce have mainly been about living peacefully around the world and advertising literacy. He is also the founder of Bridges of Peace and Hope and has been an inspiration to many people around the world. I am looking forward to this Thursday because it will be interesting to find out a whole lot more about these people, including John Farrell. This is a presentation about Nelson Mandela. Should Pit Bulls be Banned in NZ? Do you think that pit bulls should be banned in NZ? Lately the government have thinking about banning pit bulls from our country New Zealand. I think that it should be banned because it is dangerous and it is harmful to little children and to adults. This is my argument on why pit bulls should be banned in NZ. 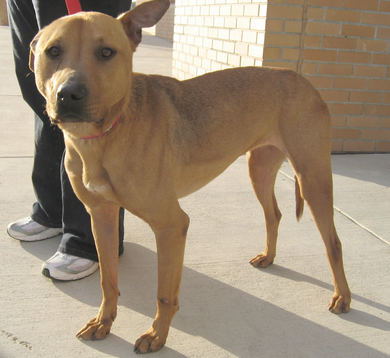 My second argument on why pit bulls should be banned is because there are lots of stranded pitbulls around the streets. A lot of our doors in our houses are always open and they can run into your house and starting eating us. That is very dangerous. They can also harm innocent people that are walking down the streets. This is my argument on if pit bulls should be banned in New Zealand. What do you think? “Hey yo Durant go get me something to eat” said our gang leader LeBron. I got straight up out of my seat and rushed outside of the Wolf Gang crib. “I got no money on me man” I thought to myself. What was I going to do? As I was walking down the streets of San Andreas, something caught my eye. It was a little girl with a picnic basket. It seemed as if she was on a picnic. I knew I had to take that from her. What else was I going to do because I would be dead meat if I didn't get food for LeBron. I approached her and I talked to her. “Hello girl, what is your name” I said politely “My name is Little Blue Swagging Hood”. “That basket of yours looks pretty good, what’s in it?” As she was explaining to me what it was, I snatched the basket off her and ran away. I was off. “Give it back!” She yelled as she was chasing me. I eventually lost her and I needed to find somewhere to hide. I arrived at a rich house and I heard someone in there. “I wonder if anyones home?” I thought to myself. I looked in the window to check if anyone was there. I sneaked inside her house as quiet as a ninja. Walking through all the rooms, I saw an old lady resting in her bed. I found a roll of duct tape sitting on the bench and grabbed it. I sneaked around her couch, and taped her mouth. “Yes” I said as I found some rope. I tied her hands and threw her in the cupboard. Looking through her clothes , I spotted some of her pj’s. I quickly slipped them on and jumped in her bed. A few minutes later, Little Blue Swagging Hood knocked on the door. “Are you home grandma?” She cried. I was speechless. She went through the house looking for her grandma. 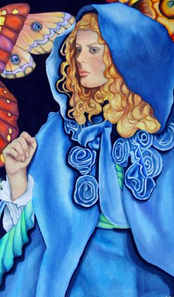 “Is that you grandma?” Little Blue Swagging Hood said. “Yes darling, why you crying?” I said. “Wait....you’re not my grandma!” said Little Blue. “What’s that shaking in the closet?” Little Blue walked over suspiciously towards the closet. At that moment, Durant jumped out of the bed and pulled out a gun. But just as quickly, the closet flew open and grandma jumped out with an even bigger gun. Today, a group of mates and I created a song. The lyrics that we came up with were about protein. We got to pick from 4 questions and the question that my group picked was What is protein and why do we need it? We had to find out facts and present it to our class any way we wanted to. We sang it to a song called 'Beautiful' by Miguel and Mariah Carey. We didn't have enough time to write enough facts in our lyrics. 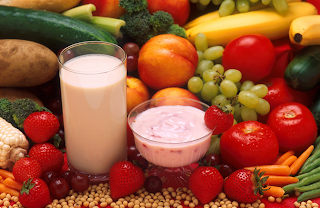 One of the facts that we put on is, many foods contain protein, but the main foods with lots of protein in it are beef, black beans, fish, poultry, nuts, and seeds. Another fat that we found was that, protein builds up in your body and replaces tissues in your body. These are the lyrics that we came up with. Hope you enjoy. but the best sources are... beef and dairy products. Protein builds,and replaces the tissues in your body. The day finally arrived. I knew I had to prove myself to get into this prestigious martial arts school. . I knew I had to persevere and keep on going because I was almost there. “Phew” I said to myself as I reached the top. My hand swiped across my face. I was really nervous. My eyes widened as I glared at this huge door in front of me. ‘Knock knock’ waiting patiently for someone to open the door. With a clanking sound of a door bridge, the door opened. “What should I do” I thought to myself. “Hai” I said as I bowed down to my master. His arm went as fast as lightning pointing for me to go away. “What?” I thought I was dream shattered. I knew I had to prove myself to him. “I know what to do” I said excitedly. I stayed up all night meditating. I was starting to daze but my concentration got me through the night. “Yes it’s finally time for famine” I said. A famine is when people from around New Zealand volunteer to go 20 or 40 hours without food, and on Friday, my school did our 20 hour famine. I was really excited because we also had a sleepover at our school. 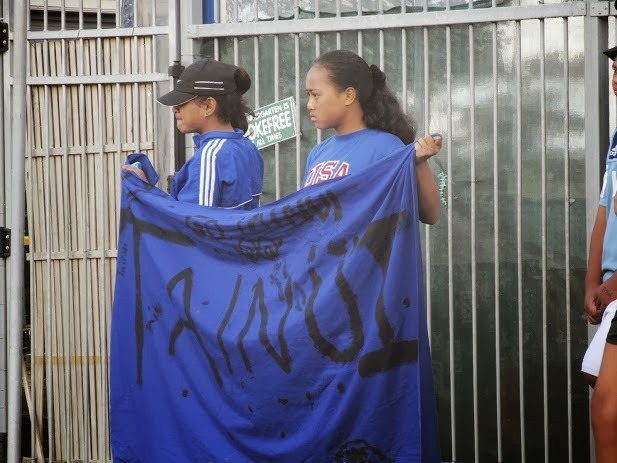 We were doing the famine for the children in Bougainville Papua New Guinea. I was in team blue. I was really anxious about the famine because on the same day, I had to go to a Rugby trial for Bill Mclaren East. I knew that I was going to get really really hungry. Straight after my trial I really wanted an energy drink but I remembered that I wasn’t aloud to or else that would be cheating. I knew that what I was doing for the children in Bougainville was good, so I just drank water. After my shower I quickly rushed to the car because I was late. When I got to the car I saw my barley sugar and juice and I remembered that, those were the only two things we could have. I quickly grabbed my juice and started to skull it. I was really happy after that. My mum had to buy me another juice. My favourite activity was the balloon popping game. 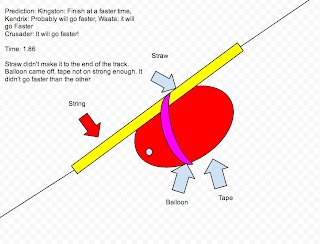 It’s a game when we get into teams and we tie a string to a balloon and then tie that around our ankles. 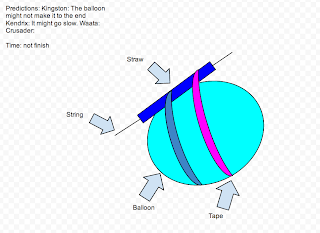 After that people vs each other to try and put other peoples balloon’s. It was really fun because no one could get me and I couldn’t get anyone as well. Finally it was time to go sleep. The movie we watched was Wreck it Ralph. I watch that movie a thousand times at home so when I saw that we were watching that we were watching that I just went straight to sleep. 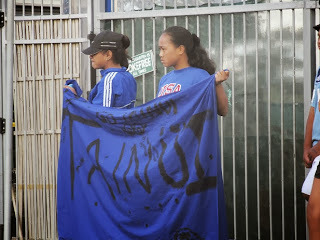 I was the first person to go sleep as well because the day after that, I had to go to my rugby game. The 20 hour famine was really really awesome and I can’t wait to do it next year. 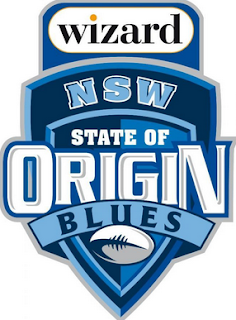 State of Origin is a competition where two teams go head to head to compete for the State of Origin shield. The teams are New South Wales Blues and Queensland Maroons and they represent parts of Australia. Whoever wins the best out of three games wins. My favourite team is New South Wales. 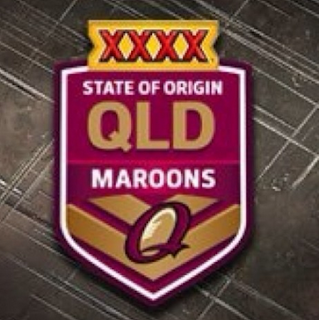 I use to go for Queensland because they have won the State of Origin 7 years in a row. But then I started going for New South Wales because Queensland always wins. I also like New South wales because they have some of the best players. One of the best things about State of Origin is the fights and the big hits. The reason why I like all the fights and big hits is because it hypes all the players and all the fans up. It makes everyone want to play harder and that is why State of Origin awesome. I really want New South Wales to win this year because Queensland have been winning for 7 years in a row and that is boring seeing them win every year. I really believe that New South Wales can do it this year because I have seen the team and it is awesome. I can’t wait for the 1’st State of Origin game to see who wins.